Jeff Gamet has been playing with iOS 10 on his iPad mini 4, and he can't wait to get it on his iPhone. Why? It starts with the Lockscreen. Bryan and Jeff also talk about regulations in South Korea that might require smartphone makers to allow all preinstalled apps to be deleted by the user. They bookend the show having some fun with Fibonacci numbers. The iOS 10 and macOS Sierra public betas are here! John Martellaro joins Jeff Gamet to look at the public beta releases, talk about what they like, and remind everyone that betas shouldn't go on our primary devices. They also have something to say about gun-shaped iPhone cases. AI agents are great for helping us, but the come with a cost that not everyone is comfortable with. 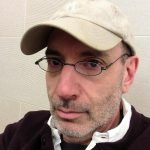 John Martellaro joins Jeff Gamet to talk about the personal data we give up to make AI agents more useful, and how we can limit what we share. 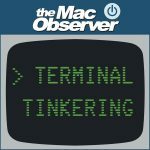 They also take a look at the Backdoor.MAC.Elanor malware that's threatening Macs. Michael Gartenberg is currently the analyst in residence for iMore.com. However, before that, he spent three years as Apple's Senior Director of Product Marketing, reporting directly to SVP Phil Schiller. Michael tells the story about how he got his gig with Apple. After years of working at various tech industry research firms, he was always on the periphery of Apple and working with Apple executives, especially Greg "Joz" Joswiak and Phil Schiller. Then, one day in 2013, he got phone call from Joz, and it didn't sound like it was going to be a schmooze session. Michael was alarmed. What could he have done wrong? But Joz wanted to invite Michael to Cupertino for an interview. Listen as Michael tells me how he got hired and what he did at Apple for three years. Becoming an organ donor will get a lot easier once iOS 10 ships this fall. John Martellaro and Bryan Chaffin join Jeff Gamet to look at Apple's partnership with Donate Life America to add donor registration to the Health app, plus they offer up their thoughts on the impact of the tragic Tesla autopilot car crash. Sometimes things just don't work right, and that's what your two favorite geeks are here for! Listen to them help solve your issues with batteries, email bcc, Photos migration and even CPU QoS. Download and enjoy! Word on the street says Apple is in talks to buy the streaming music service Tidal. Bryan Chaffin and Dave Hamilton join Jeff Gamet to share their thoughts on whether or not a deal between the two makes sense, plus they look at Spotify's complaint that Apple is blocking competition in the streaming music market with its App Store approval process. Apple, Amazon, and Google are all big players in the tech market, and Senator Elizabeth Warren says they're stifling competition. John Martellaro and Bryan Chaffin join Jeff Gamet to look at the Senator's concerns and share their thoughts on competition in the tech world. 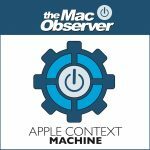 In this episode of The Apple Context Machine, Bryan and Jeff discuss new regulations in China that could make Apple part of that country's surveillance and censorship apparatus. They also talk about Google's plans to make its own Android devices, and Amazon offering a discount on two Android phones that display Amazon ads on the lock screen. Bryan somehow manages to ties that into an epic rant about Angry Birds 2. Apple patented a way to block our smartphone cameras from recording. Kelly Guimont and John Martellaro join Jeff Gamet to share their thoughts on the patent and its potential for abuse. They also look at a lawsuit alleging Apple stole the idea for the iPhone. Speculation about the audio ports on the next iPhone are still going strong. Today Dave Hamilton joins Jeff Gamet to talk about the potentially missing headphone jack on the new iPhone, digital to analog converters, and how we listen to our music. They also get a little creeped out over Facebook's location-based friend suggestions. Apple's stock isn't a high as it used to be and understanding why can be a little daunting. Bryan Chaffin joins Jeff Gamet to look at Wall Street's dysfunctional relationship with Apple and the Brexit impact on the stock market. They also check out Google's new Blocks programming platform for kids. Alex Grossman is the co-founder and president of Symply, Inc. His new company makes high-performance storage devices for content creators. I asked Alex about his start in storage technology, and it goes back to his EE degree in college and his first job with the Digital Equipment Corp (DEC). Early on, he developed a passion to build great hardware and understand how data got stored. Years later, Alex ended up at Apple focusing on the small and medium business needs for easy to manage mass storage. He tells a great story about Apple giving him the go ahead to change the world with Xserve RAID. Today, Alex carries his years of experience with elegant, easy to manage storage into his new company, Symply, Inc. Alex told me one amazing story after another. How to share contacts with your team, read CDs on a new Mac, resolve your router being blocked by servers, fix your iPad Pro when it locks up and much more. All this today on Mac Geek Gab. Download and enjoy! It's official: Apple is killing off the Thunderbolt Display. 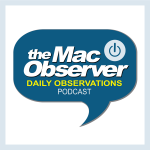 Bryan Chaffin and Dave Hamilton join Jeff Gamet to share their thoughts on what this means for Apple in the display market, plus they have something to say about John C. Dvorak's claim that it's time for Apple to spin off the Mac into its own company. It's listener comment day on TDO. Dave Hamilton and Bryan Chaffin join Jeff Gamet to respond to your thoughts on Alicia Keys locking up attendee's smartphones at her concerts, and on Apple's new APFS file system for macOS, iOS, watchOS, and tvOS. Bryan and Jeff delve into some of the things they've learned about iOS 10, macOS Sierra, and watchOS 3.0. Spoiler, it's all looking really good. They also talk about Differential Privacy and explain (loosely) how it works, what it means, and why it's important. John Martellaro has been busy learning all about APFS, and he has plenty to share. John, along with Kelly Guimont, join Jeff Gamet to take a closer look at Apple's new file system for the Mac, iOS, Apple Watch, and tvOS. Going to an Alicia Keys concert will get your iPhone locked away, but not by the police. Bryan Chaffin and John Martellaro join Jeff Gamet to share their thoughts on concert goers being forced to drop their smartphones in locked bags as a condition to see the show. They also take a look at Russia's bill calling for backdoors into encrypted chat apps. Apple wants to be an electric company, but that doesn't mean we'll be buying iElectricity soon. John Martellaro and Bryan Chaffin join Jeff Gamet to talk about Apple's plans for the surplus electricity it generates through its renewable energy efforts, plus they share their thoughts on Apple's plans for biometric passcodes and protecting our privacy.